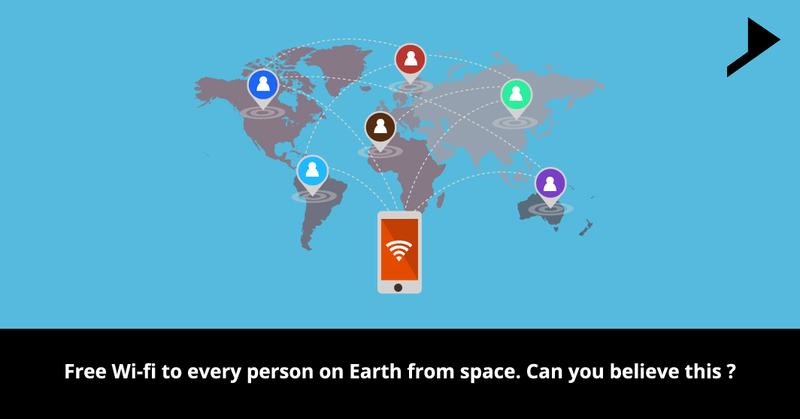 Free Wi-fi to every person on Earth from space. Can you believe this ? Home / Client communication / Free Wi-fi to every person on Earth from space. Can you believe this ? A best aspect related to the web is that it’s cooperative. You correspond with loved ones, distribute your individual site, and write your remarks on other individuals work. Be that as it may, an immense piece of online happenings what is seen regularly by the common user is entirely based on the contents. A free satellite multicast transmitting a regular feed of digital media. This community determines the content which is to be uplinked for global distribution. It desires to bring all the contents taken by us as granted to three billion people estimated with no net access. 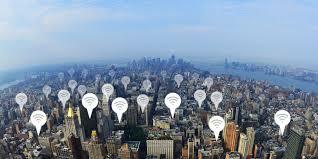 To make this content available to as lots of people as feasible effectively & cheaply, Outernet connection works only through one way. Outernet’s CEO says that the vital aim of the company is to solve the problem of accessing information as faster as possible. Outernet will launch hundreds of miniature satellites broadcasting the Internet to phones helping billions of people to get access to online services. Outernet offers a straightforward device named as the Lighthouse that can bond with a satellite dish and download. The gadget serves as a Wi-Fi center point, so clients can connect with it and browse text as required. With the help of company’s open source software and instructions you can build a lighthouse style receiver yourself. This service is free, and anybody with the correct gear can get Outernet’s shows. Being a part of growing pack of companies Outernet tries to bring forward some or the other forms of digital information service to the aforesaid 3 billion people who do not use internet. The company has joined Facebook backed the initiative internet.org and Google’s project loon.Outernet isn’t the best subsidized or surely understood of this pack of organizations. Satellite web services are much expensive to launch and maintain. In spite of the fact that full web access would be best in the long haul, Outernet in the transient could meet a prompt need. Outernet is prepared to transmit up to 100 gigabytes of data every day. To figure out what content goes out with this limited transmission, a system has been developed by Outernet through which anyone can submit the contents which they wish to be included in Outernet’s broadcasts. A superior dare may be of providing an assurance of the contents to a universal audience. Viewers will definitely be interested in local news and crop prices presented in local languages. Content uploaders in the US will bot be always able to guess the real information end-users actually want. The company will further be working with the regional newspapers, media companies and many more local radio stations to fll up the gaps between uploaded contents and the actual contents needed by the worldwide audience. A special feature of Outernet is that to offer its services free of cost,the company will permit the organizations to prioritize all their contents in a presentable queue. America Online and CompuServe in the US, Ceefax in the UK, and Minitel in France helped a huge number of individuals dunk their toes into the online world before the internet got on. Outernet says that it is a non neutral network which will help billions of people having no access to the internet. The company is not an internet service provider but a broadcaster who offers any piece of content over another.